REMEMBER: YOU MUST BE A CURRENT 2018 MEMBER TO BE ELEGIBLE FOR YEAR END AWARDS. To qualify for this program, you must be a youth member of TWHA in good standing. Youth must participate in at least 50% of the current years scheduled shows. Exhibitors 10 & Under must show in a total of 14 classes, and any other youth 11 & older must show in a total of 21 classes over the current show season. There is not a requirement for Leadline exhibitors. Youth is responsible for completing the proper forms and turn it in to the show office or the awards secretary within 15 day of show date. Overall Class Winners are TWHA members who have accumulated the most number of points for a particular class. Points are accumulated on all mandatory & optional classes that are PRINTED on the published class sheet and held 50% of the show year. Horse/rider must show at 50% of TWHA-approved shows for the current year & be a TWHA member at the time points are won. Optional classes must be held 50% of the show year and the Horse/Rider must show in 50% of the number of times held. Receiving a Certificate, Award Ribbon, and a $25 Gift card. Western Go As You Please – 14 to 18yr. English Go As You Please - 14 to 18yr. Receiving a Certificate, Award Ribbon, and a $30 Gift card. Overall Division Winners are TWHA members who have accumulated the most number of points for a Specific Division. Points are accumulated on all mandatory & optional classes that are PRINTED on the published class sheet and held 50% of the show year. 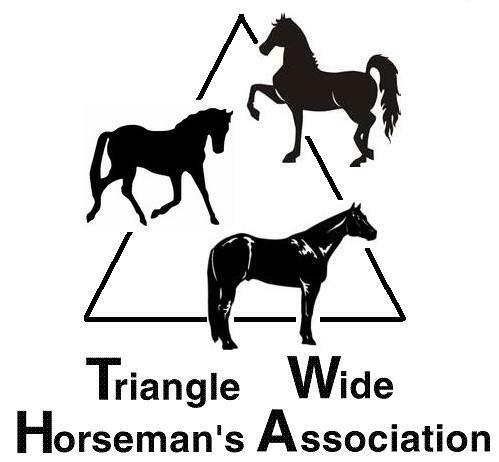 Horse/rider must show at 50% of TWHA-approved shows for the current year & be a TWHA member at the time points are won. Several Years ago the North Carolina Arabian Association sponsored two awards for the Top Arabian Rider and the Top Arabian Horse. Rider or Handler of this award is a TWHA member in good standing and is awarded to the Rider with the highest total number of points earned in TWHA Mandatory and Optional Classes. Points may be earned on any number or Combination of Arabian or Half-Arabian horses registered with TWHA at time points are earned. Rider must have shown in at least 50% of TWHA Sanction shows. This a perpetual award. Recipient keeps Trophy for one year and then it is passed on to next recipient. Name of recipient is placed on a plate that remains on the award. The Arabian Horse Winner of this award must Registered with TWHA and is awarded to the Horse with the highest total number of points earned in TWHA Mandatory and Optional Classes. Points may be earned with any number or Combination of Riders who are TWHA members in good standing at time points are earned. The Horse must have shown in at least 50% of TWHA Sanction shows. This a perpetual award. Recipient keeps Trophy for one year and then it is passed on to next recipient. Name of recipient is placed on a plate that remains on the award. This award is given to a Youth member in Good Standing. The Award is decided by a Silent Committee that is chosen at the beginning of the show season. Recipient must show good manners and be willing to help with TWHA at any time during the year as well as show good sportsmanship at all TWHA functions. This is a perpetual award. Recipient keeps Trophy for one year and then it is passed on to next recipient. Name of recipient is placed on a plate that remains on the award. This award is given to a Exhibitor/Horse combination who is a TWHA member in good standing. The Points are accumulated based ONE HORSE/ONE RIDER combination from ALL WESTERN/HUNT SEAT/SADDLE SEAT/WORKING WESTERN/MISCELLANEOUS TWHA MANDATORY & OPTIONAL CLASSES printed on class sheet for show. This is a perpetual award and Recipient will keep the Trophy for one year and then it is passed on to next recipient. But if the same horse/rider team wins the trophy 3 years in a row the trophy will be retired. The name of the recipient is placed on a plate that remains on the award.